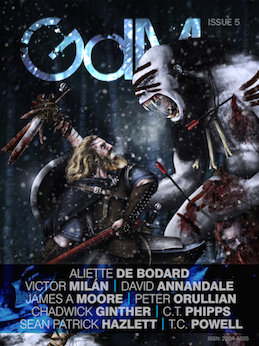 I just got myself on the review copy list of Grimdark Magazine and issue #5 just hit my inbox this evening. I've read the first four issues and been adequately pleased. While I think there's a lot of marketing hype behind the term grimdark, I do think much of the best sword & sorcery being written at present comes out under that description. The last issue had a great essay by John Fultz making same basic argument that essentially grimdark=swords & sorcery. I'm planning on reviewing it along with the usual monthly suspects and some stories from back issues of Fantasy Scroll. Probably in the second week of October. The point being, Grimdark Issue 5 has hit the digital bookshelves. At $2.99 you really, really can't go wrong. Now if only the next issue of Heroic Fantasy Quarterly would hurry up and get here already. The question has been asked whether we are at peace or war. It is one that is very difficult to answer distinctly. We are not at war, because war is not declared; we are not strictly at peace with Russia (a laugh). My noble friend may laugh; but he must know perfectly well that I am correct in saying we are not at war with Russia, although diplomatic relations with that country are suspended...I consider that we are in the intermediate state; that our desire for peace is just as sincere as ever; but then I must say our hopes of maintaining it are gradually dwindling away, and that we are drifting towards war. Secretary of State for Foreign Affairs, Lord Clarendon to Lord Clanricarde in the House of Lords in February 1854. These infamous words do more to underline the whole hazy nature of the Crimean War than anything else in Trevor Royle's, Crimea; The Great Crimean War. The Russians were bent on feasting on the not-yet-dead body of the Ottoman Empire, the French were intent on ending the post-Napoleon Congress system that put them in a place of inferiority to the other Great Powers, and England was fearful of a Russian Empire able to enter the Mediterranean. The Turks, of course, hoped to be left alone, but none of the other nations really seemed to care what they thought. But none of the Great Powers had any real, concrete reason to go to war. Neither territory, citizens, or wealth were at risk. 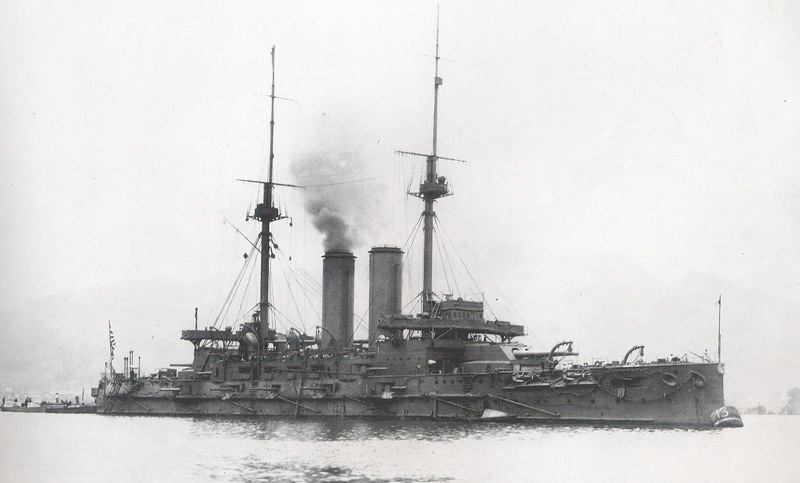 Still, when the Russians destroyed the Turkish Black Sea squadron at Sinope, the British decided to lend them naval support. Sir James Graham, First Lord of the Admiralty asked the prime minister, Lord Aberdeen, "Are we bound in that case to be dragged into hostilities by a Barbarian whom we are unable to control?" And still, to war they went, leaving hundreds of thousands dead and wounded. 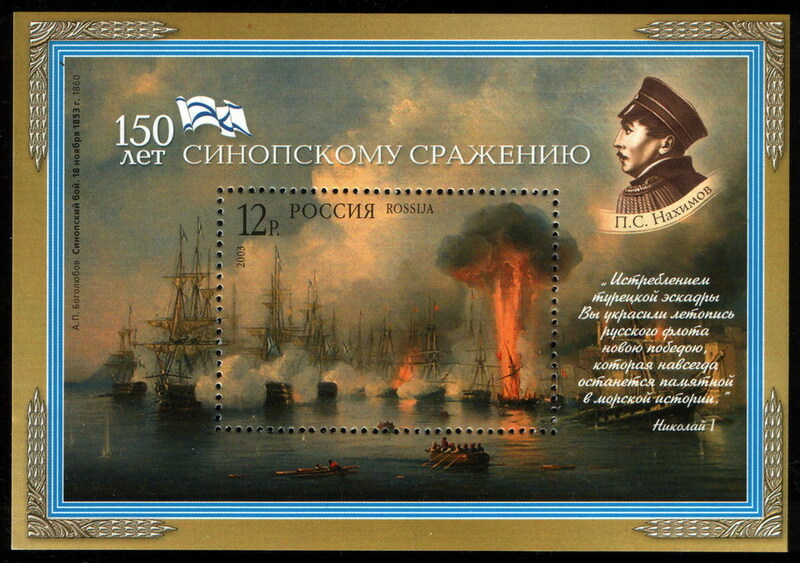 Crimea, Alma, Balaklava, Sebastopol, and the Charge of the Light Brigade. Once these names of places and battles were well known across the West. The dashing soldiers of France and England sailed across Europe to save the tottering Ottoman Empire from the rapaciousness of the tyrannical Russian Empire. Now, most people have little memory of a war fought for, what even then, were obscure reasons, over one hundred and fifty years ago. Royle's book is a thorough survey of a mostly forgotten war, if from a decidedly British perspective. Before reading this, I only had the vaguest understanding of it. 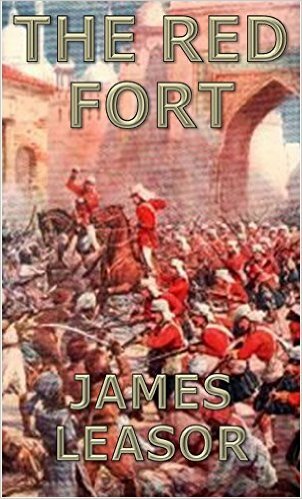 I knew Florence Nightingale was there dealing with disease and medical incompetence, and a little of the disastrous charge of the Light Brigade during the battle of Balaklava, but no more. 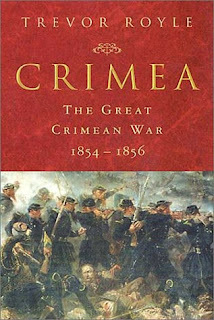 The Crimean War, was the first war between the Great Powers of Europe after nearly forty years of peace. After the vast destruction and killing of the Napoleonic Wars, the victors thought they had established a structure for peace and stability at the Congress of Vienna. France was reduced in power and stature, and, it was hoped, nationalism and liberalism were tamped down. 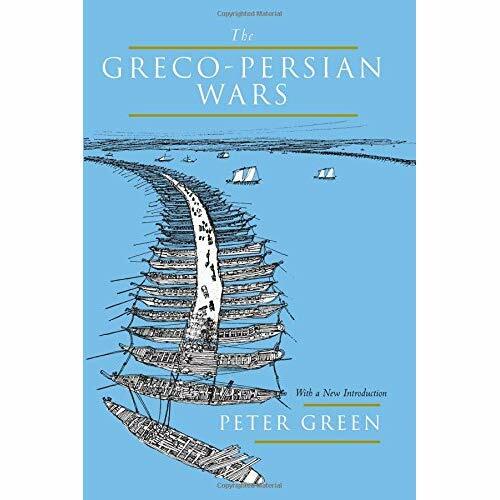 The conflict was fought between an alliance composed of France and her old foe, England, and the Ottoman Empire (with some help from Sardinia) against the Russians. While it had its immediate spark in a fight between the Russians and French over whether Orthodox or Catholic monks would hold the keys to the Church of the Nativity in Jerusalem, then under Ottoman rule. For many years, Orthodox monks held the keys to the church's front doors. They were transferred to Roman Catholic monks by the Ottomans when the aggressive Napoleon III demanded them in late 1852. Russia felt deeply insulted and insisted two treaties in the 18th century guaranteed Orthodox control of the keys. This was an attack on her prestige. But the real causes were numerous and complex. In 1853, the Ottoman Empire, was a vast realm that stretched from the mountains of eastern Anatolia all the way to the shores of Tunisia, and covered most of the Balkans and Arabian peninsulas. And it was crumbling. After nearly four hundred years of occupation, the Greeks had wrested their independence from the Turks in 1821. Fear of Russian intervention led to significant Serbian autonomy. Soldiers under the command of Albania general Muhammad Ali had seized control of Egypt. Tsar Nicholas I had taken to calling it a sick man. In its decay, he saw opportunity. He dreamed of expanding his empire's boundaries into Anatolia and the Balkans, and becoming the protector of all the Orthodox peoples under Ottoman rule. Moldavia, Wallachia, Serbia, and Bulgaria should all be granted independence, under Russian guindance of course. On numerous occasions he tried to convince British diplomats and politicians that what was needed was a preemptive plan to deal with the dissolution and disposition of the Ottoman Empire. Nicholas was optimistic about war against the Ottomans. Their army was filled with incompetent officers, poorly trained and equipped soldiers, and riddled with corruption. Unaided, there was little chance it would have been able to stand up to the Russians. Royle provides several letter from British diplomats confirming the terrible state of the Ottoman army. Fortunately, the Turks would not be alone. Both England and France feared any increase in Russian power could destabilize the balance of power in Europe. Neither wanted Russia swallowing up the Balkans or Istanbul. Control of the latter would release the Russian navy into the Mediterranean, something that could be a threat in the event of a future war. The British were especially worried that the Russians had their eyes, ultimately, on northern India. Russia. There were other considerations at play. France, relegated to the back bench of Great Powers, was looking to return to center stage. Napoleon III, nephew and heir of Napoleon Bonaparte, took power in a coup in 1851 and declared a new empire. Always on the lookout to increase France's prestige and power on an international level, the new emperor had an eye open for the chance at military victory. Russia was one of the two great multi-ethnic empires (the other being Austria) that served as the watchdogs of the Congress system, sending their troops to break up liberal rebellions across central and eastern Europe. Taking one of them down would be a major coup for the French. 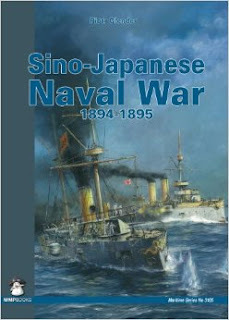 Royle spends several chapters exploring the maneuvers of the tsar, his envoys, and those of England and France as they attempt gain advantage over one another while avoiding actual war. For several months diplomats shuttled back and forth from London and Paris to St. Petersburg trying to outfox one another but to no avail. Finally, the Russians made territorial and political demands of the Turks they knew they could never accept. In response to the Turks' refusal, the Russians invaded Moldavia and Wallachia. The French and British demanded they withdraw, which, of course, the tsar refused to do. 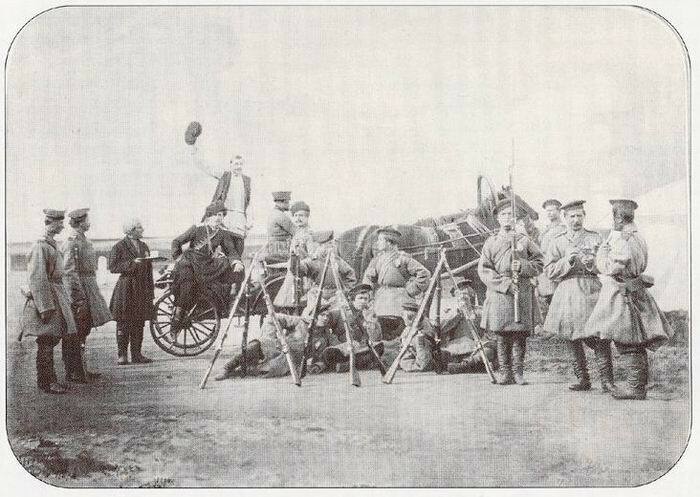 Soon French and British troops were on their way to Bulgaria. Shortly after the French and British arrival, the Russians withdrew. This, however, was not the end of the war, merely the beginning. The real aim of the Allies was the Crimea. No one even contemplated a full invasion of Russia. It was theorized, that by seizing the great Russian naval base at Sebastopol, Russian power in and along the Black Sea would be curtailed, ensuring Ottoman security. 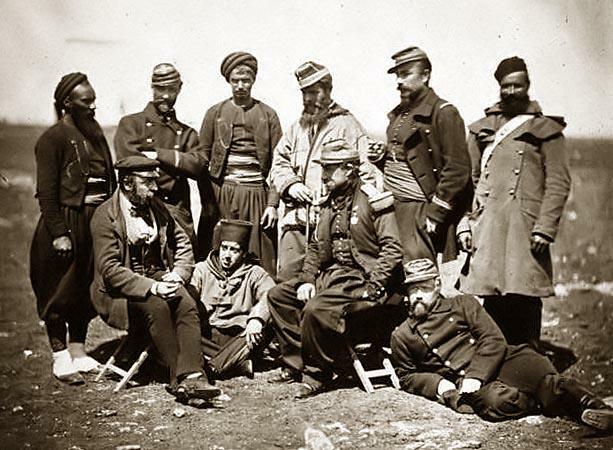 The French forces deployed to the Crimea had gained significant combat experience during the conquest of Algeria in the 1830s. This meant they had combat trained officers and an adequately developed medical service. When the cold weather came they had sufficient fuel and heavy clothing. The British were not so well prepared. For forty years, their army had seen little action and its senior commanders were old men who'd last seen combat against the French. Logistics were not properly prepared branch of the army which directly to many deaths from disease and cold during the war's first six months. It took the first half of the war for the army to get up to speed regarding medical services and supplies. The increased lethality on the battlefields of 1854 was something the British weren't prepared for. It wasn't that commanders were incompetent, as is often implied, but that they were struggling to adapt to changes they weren't aware of. They also tended to be old men raised on tactics insufficient to win battles in 1854. 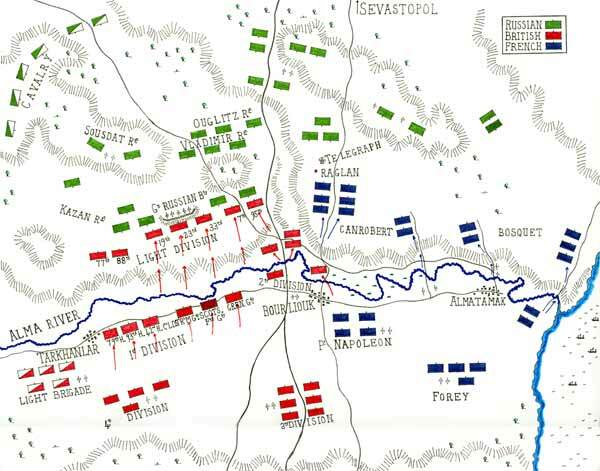 Three major battles were fought in the lead up to and the early day of the siege of Sebastopol. 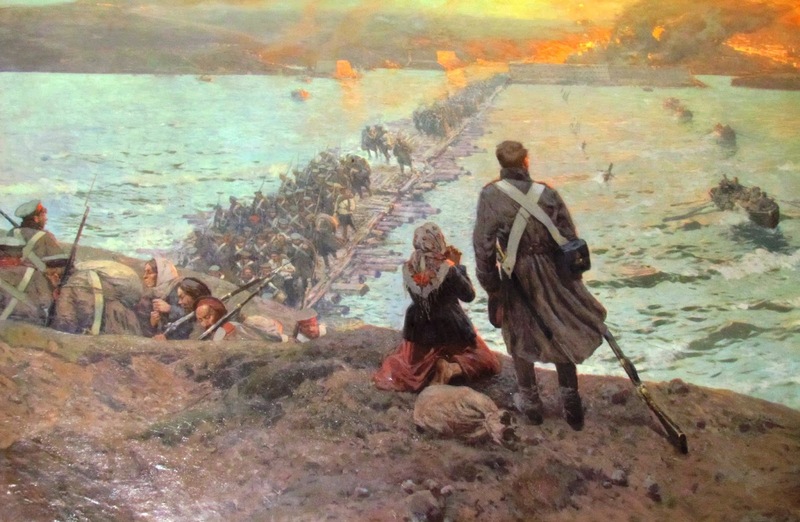 The first was the at the Alma River when French, British, and Turkish troops drove the Russian army out of its trenches and back toward the city. To the Russian's disbelief they were not pursued and managed to escape unmolested. The next big fight was at Balaklava when the Russian attempted to assault the Allies' supply port. 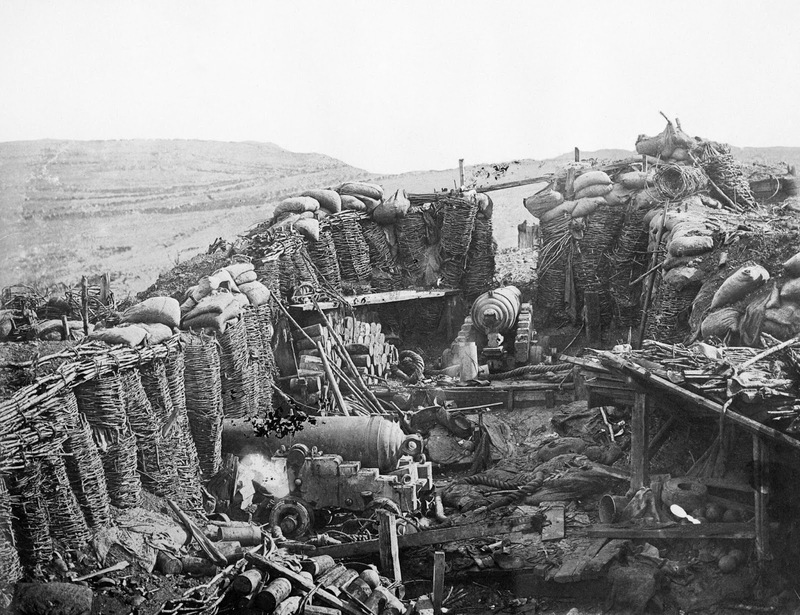 The Russians succeeded in capturing several redoubts and driving the Allies from large parts of their line. In the end, though, it did little to relieve the pressure growing on Sebastapol. It's during this battle that the one event most people have heard of from the war occurred: the Charge of the Light Brigade. 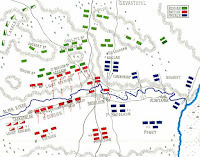 Due to misinterpreted orders that were vague in the first place, said cavalry brigade charged the wrong Russian artillery. It suffered heavy casualties and set off a round of recriminations between the commanders over whose fault it was. It was horrible blunder. 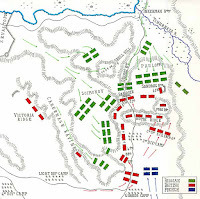 The brigade charged over a mile and a half of open ground, with over a third of its nearly seven hundred troopers being killed or wounded. 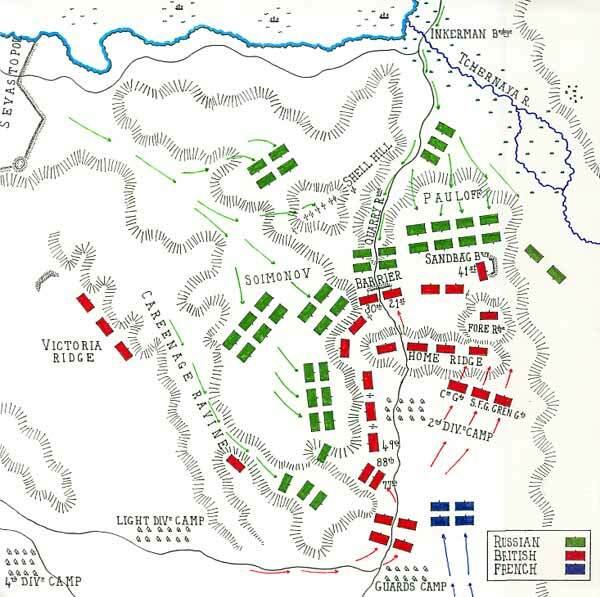 The third major engagement was the Battle of Inkerman, later called the Soldier's Battle.. Hoping to break the strengthening Allied line starting to strangle Sebastopol, the Russians launched an early morning assault on the British and French trenches. Fought during a heavy fog, units were often isolated from one another and much of the combat was done at a small unit level. Though outnumbered, the Allies held the ground at battle's end and the Russians withdrew, resigned to the siege. "The bayonet was used with terrible effect by all regiments. The enemy, driven on by their brave officers, had to - and did literally - climb over the heaps of their slain countrymen and ours to renew this bloodthristy contest; but they had to go back time after time much quicker than they came." 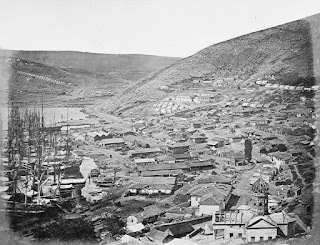 The siege dragged on for thirteen months, ending in October, 1855. 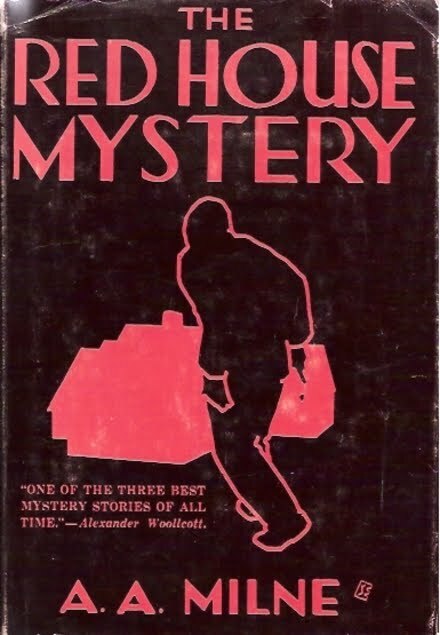 Without getting bogged down in hyper-detail, Royle's book covers the various Allied and Russian missteps that prevent the siege from being ended one way or another several times during that year. 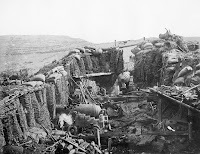 The seeds of the type of fighting seen in the Overland Campaign of last year of the American Civil War and ultimately the Great War, are seen being plnted during this siege. 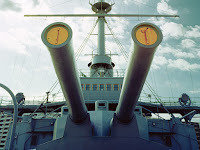 Long-range artillery, and rifled muskets increased the range and killing power of armies beyond anything previously experienced. The Allies were forced to learn the hard way, meaning infantrymen had to get killed and wounded, that attacking heavily fortified trenches and fortresses was not a sensible thing. Time after time, British assaults on the Great Redan and French ones on the Malakoff redoubt failed. 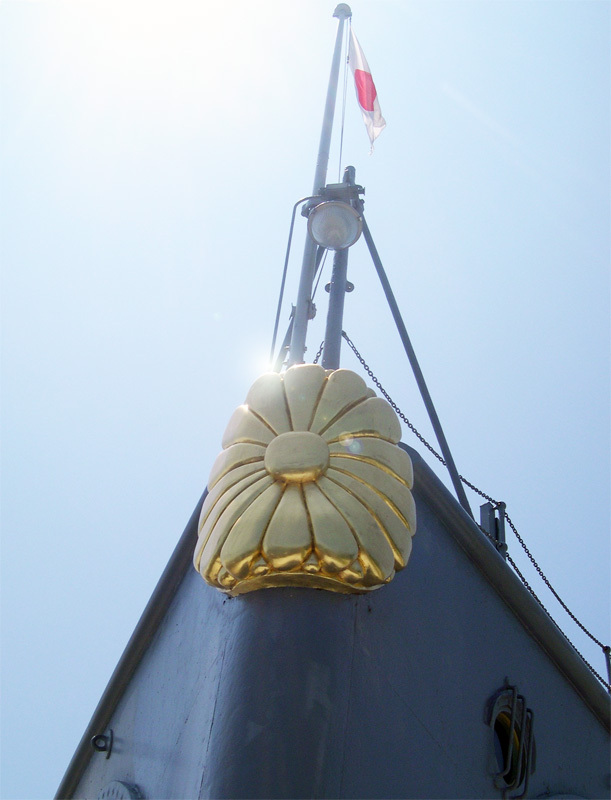 While the Malakoff was finally taken, ending the siege, the British never took their objective. It's a bloody, brutal mess, and Royle makes the strategies and tactics of both sides clear and understandable. In addition to a limited military capacity to bring the siege to an end, another reason the war dragged on as along as it did was because the British hoped to force the Russians out of the Caucasus. Even as the French, who had suffered the majority of Allied casualties, wished to reach a settlement with the Russians, the British mucked up the works. While soldiers were dying, the Russians at a rate of 250 per day, diplomats and politicians were plying each other with promises of future favors, lying to their allies, and playing the press. As with the siege, Royle guides readers through the maze of names, plots, and deceptions with clarity. With the fall of the Malakoff redoubt on September 8, 1855, the siege of Sebastopol came to an end. The Russians evacuated the southern part of the city and there was no more fighting in the Crimea as autumn began. 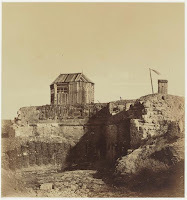 There was some desultory siege warfare in February of 1856, but the war was essentially over. 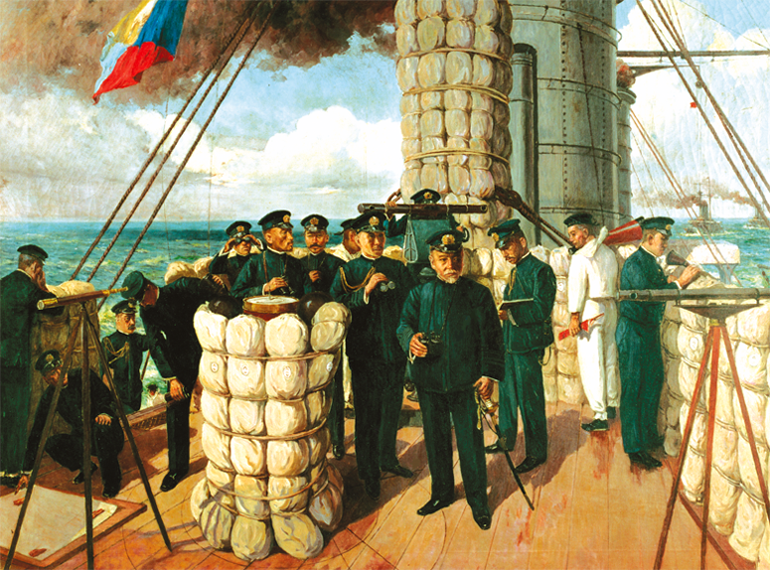 In addition to returning Russian territorial gains in the Danube principalities and eastern Anatolia to the Ottomans, the Treaty of Paris, signed in March 1856, Russia and the Turks agreed not to build naval bases in the Black Sea. The Ottoman Empire was preserved for another sixty years and France and England thwarted Russia's imperial ambitions. One of the truly fascinating elements of the Crimean War, which Royle describes masterfully, is it was one of the first photographed wars and ones covered by war correspondents. Not realizing the power newspapers will have, the British army didn't keep reporters form the front. When large numbers of men started dying from disease and then the cold, the public knew about it right away. It was this public reaction that led to Florence Nightingale and other nurses to travel to the front. Private collections of winter coats and heavy socks were started to alleviate shortages. Later, what was seen as lackluster conduct of the war led to the collapse of the Aberdeen government. Sadly, the lesson the army took away from this was to ensure it didn't happen again in future conflicts. Coupled with the other book I just finished reading, The Magenta and Solferino Campaign 1859 by Col. H. C. Wylly, Crimea: The Great Crimean War I can see how the stage was set for the next century of European wars. With this war, France reasserted herself as a player in European afairs and Sardinia was able to legitimately set its sights on Austrian-controlled Italy. France's victory against Austria in 1859 further emboldened her and convinced Prussia that Austria wasn't as powerful as everyone thought. Austria's weakened state led directly to war with an aggressively assertive Prussia in 1866. 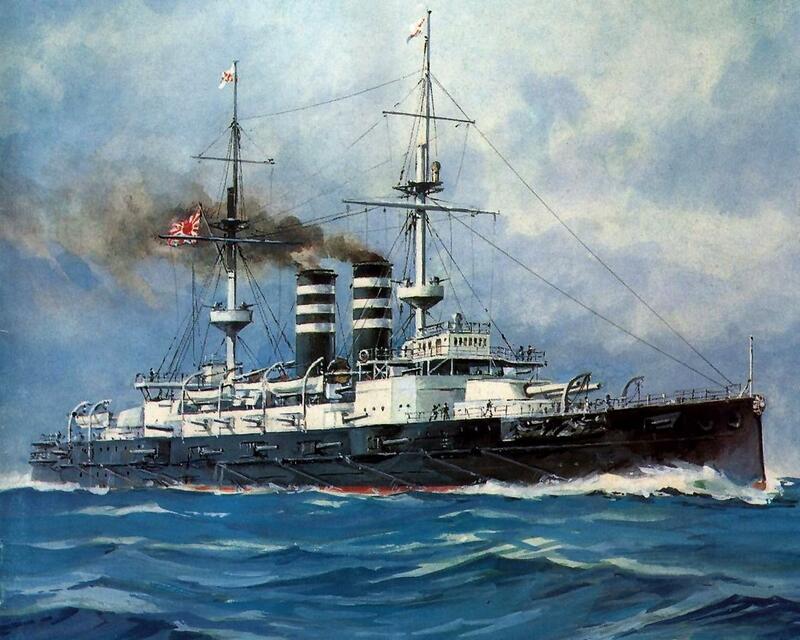 Prussia's victory in that war unnerved the rest of the Continent which finally led to France declaring war in 1870. The collapse of the French Second Empire and the loss of Alsace and Lorraine (which France had taken possession of during the 17th century). That of course laid much of the groundwork for the Great War (something Royle argues as well) which led directly to the Second World War. Each conflict introduced a new prop, a new motive for one more, bigger war. It's also a reminder that the seventy years of peace in Western Europe is an anomaly in the region's history. I mentioned earlier, that this book is biased in its telling towards the British. Not that it favors the British and their cause, but the perspectives of the French, Russians, and Turks especially are concentrated on much less. While Royle provides plenty of information about the French and Russian actions, as well as the two emperors, there's not same breadth of information about the men in their ranks as in the British ranks. Nonetheless, it's not a problem that damages the story he set out to tell, it only whetted my appetite to find a book that tells more of the non-British side of the war. Royle's book is fast paced, and engrossing (even if you can't tell from my turgid capsulization of its contents). For anyone interested in the period and how forty years of relative peace in Europe came to end, this is a perfect place to start. I haven't posted quite as much as I had intended (I'm getting a house redone), but the reading's still going strong. To add to my library of imperialism I got myself a big batch o' books for my birthday last month. This one covers the century of warfare between the British Empire and its local allies against the mighty Asante Empire. The latter was a powerful military state located in present day Ghana. 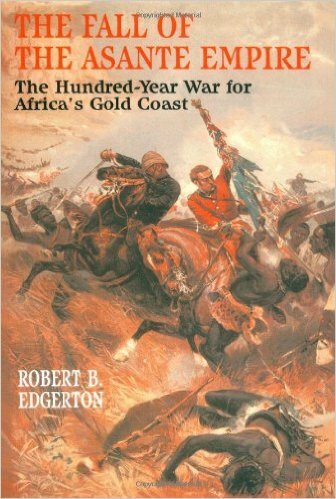 It took the British four wars to overthrow and conquer the Asante. An author unknown to me, Leasor was the author of tons of books (including a ghost-written autobiography of Albania's King Zog - greatest king name ever!). The Red Fort details the British effort to recapture Delhi during the Sepoy Mutiny of 1857. While there were numerous reasons for the rebellion, the fury of a new cartridge was the trigger. The cartridges for the Pattern 1853 Enfield needed to be greased and the tip bit off when used. Muslim soldiers were convinced the tallow used included pork fat and Hindu soldiers that it contained beef fat. Napoleon III's downfall came on the heels of this war. He was, along with nearly everyone else in Europe, convinced that the Prussians would fall to French arms. This was despite the drubbing the Prussians had given the Austrians only four years earlier. Sadly for the world, that war kicked Austria out of the big leagues while this one left France embittered and itching for another go around. They would have to wait nearly forty-five years. 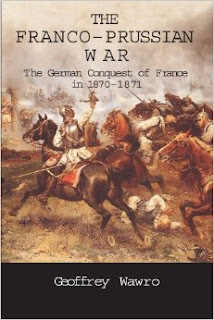 I've started reading Wawro's book about the Austro-Prussian War and I'm digging it so I have good expectations for this one. I just rewatched the Charlton Heston-Laurence Olivier epic, Khartoum. 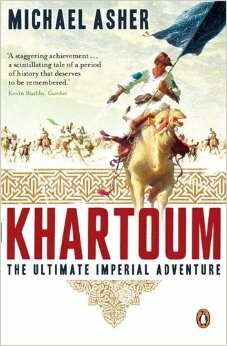 Good, patriotic stuff that still manages not to portray the Mahdists as subhuman rabble (even with Olivier in blackface).This thick (virtually) e-tome covers the dozen years starting with the destruction of the Hicks Pasha expedition, and George "China" Gordon's attempt to evacuate Khartoum and culminates with Herbert Kitchener's victory at Omdurman. Michael Asher is an explorer and traveler with vast experience in the deserts of northern Africa. I don't know when I'll get to this book but I'm pretty jazzed about it. I know lavishly illustrated's a bit of a cliche, but this book really is. It's filled with photos of many of the captains, admirals, and general, most of the ships, as well as period pictures of the ground war. 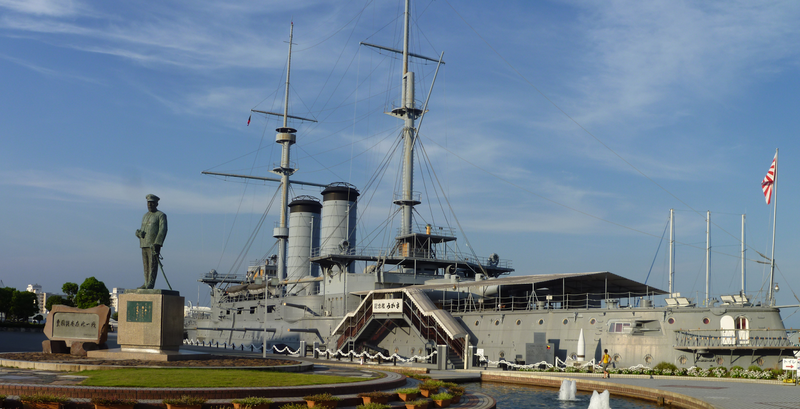 This, a decade before the Russo-Japanese War clinched Japan's place on the world stage, announced to the Great Powers there was a new (and Asian) power to contend with. 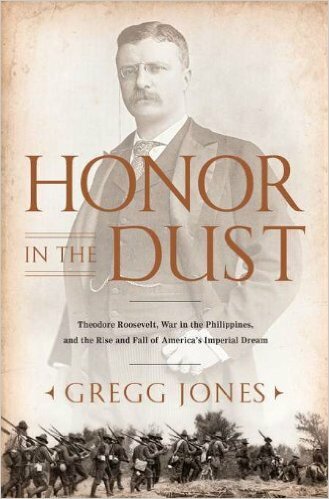 From MMP Books, this looks terrific. Finally, for when I finish reading about the Spanish American War, there's this history of our unsavory guerrilla war in the Philippines from 1899 to 1902 (hey, the same years the British were fighting their own brutal irregular campaign in the Transvaal). It's a little known event that left hundreds of thousands of Filipinos displaced or dead. So, lots of books for the next six months or so (at least). I hope to write something about all of them (and all the other ones I've mentioned in previous posts) at some point or another. This continues to be a fun and very fascinating undertaking. I hope not everyone's bored stiff of me doing this. 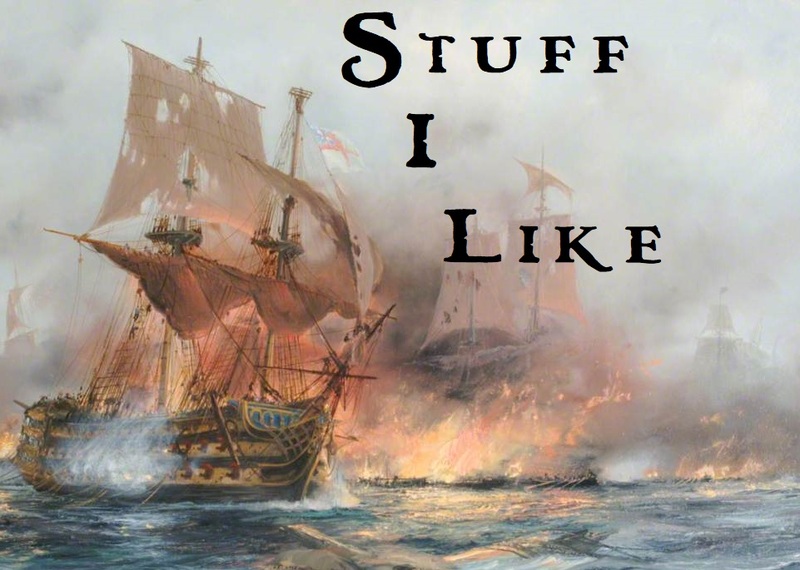 I'm still blogging each Tuesday at Black Gate, and I might start doing some S&S content here again, but this is what's really doing it for me right now.